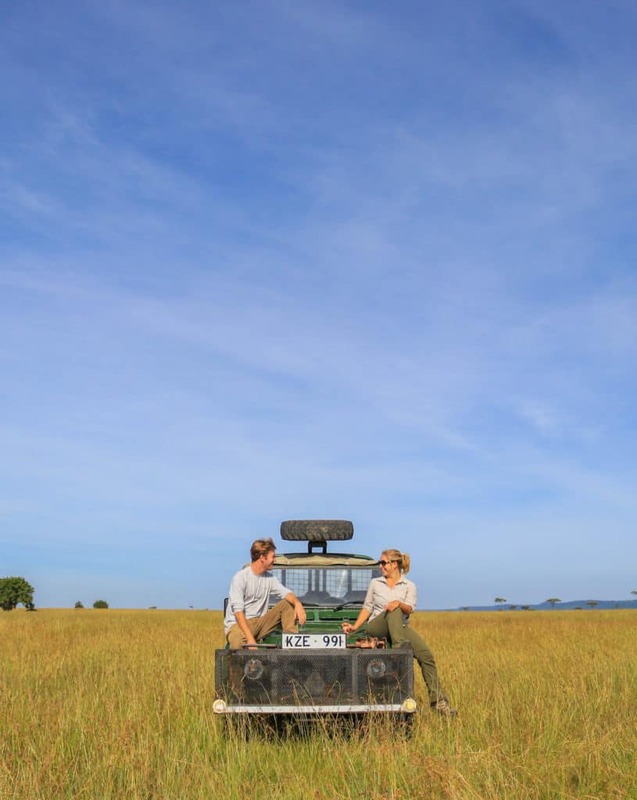 A good safari boot is the one thing that is a must when it comes to safari wear and bushwalks. 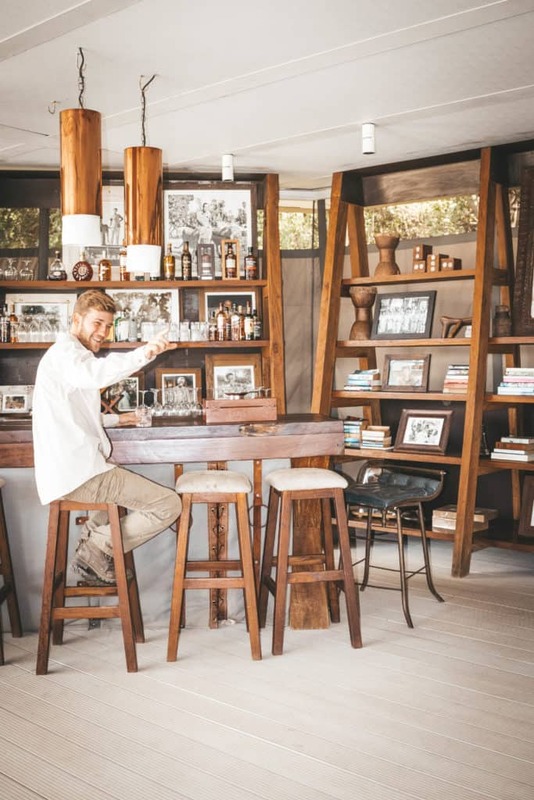 Sure you can dress up in khaki, leather, leopard print, and dark green, but at the end of the day, it doesn’t matter all that much about what you wear on safari if you don’t have the safari shoe. However, protecting your feet in the bush is important. 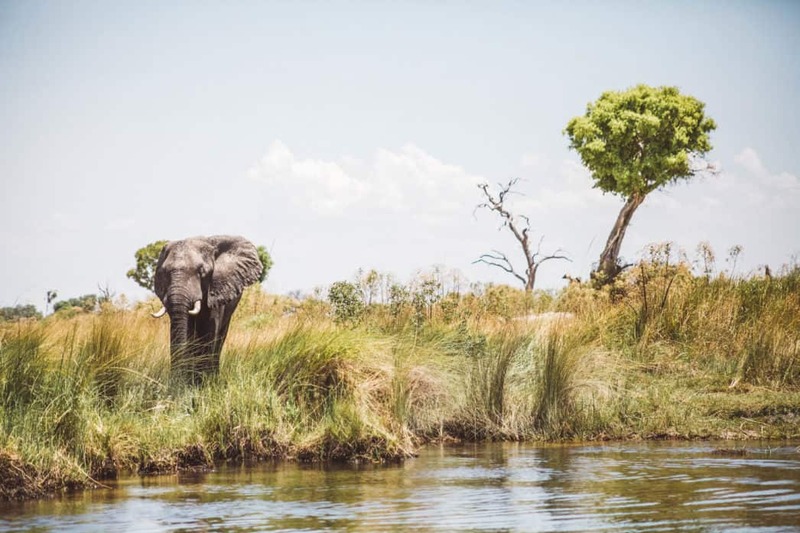 If your safari has plans to do any bush walks in search of the “Big Five” picking up a good pair of boots before your trip is a necessity. A good pair of safari boots is not just comfort they are safe for being in the bush. What Makes A Great Safari Boot? Everything that comprises a great hiking boot is found in safari boots. In our experience, we fully recommend anything with a high ankle. On bush walks you can often walk through thick grass, deep mud, or briars so you must protect your legs. 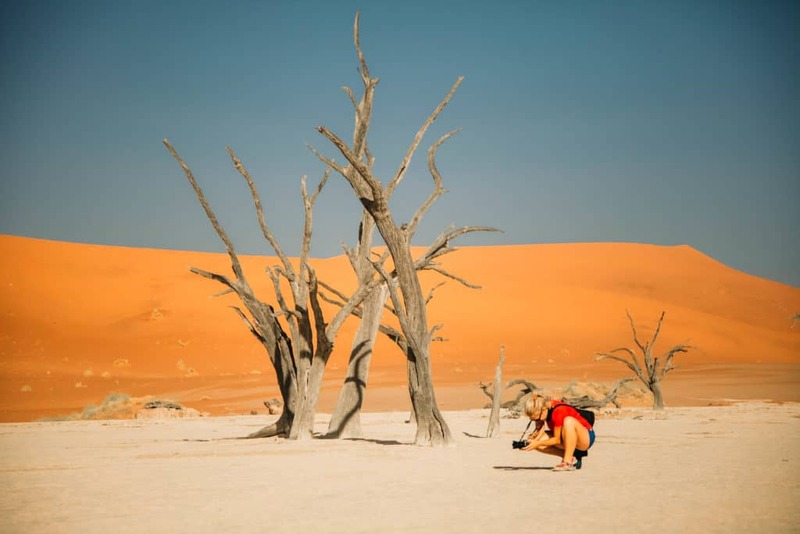 In savannah environments, you face the risk of acacia thorns and ticks while jungle environments bring about deep mud and some of the meanest ants. Then to top it all off, there is always the risk of a poisonous snake when walking in the bush. Those acacia thorns can be brutal. Trust me – I’ve had my fair share of run-ins with them puncturing my shoes. Any good pair of safari boots should have a tough sole that protects the bottom of your feet from a sharp thorn or branch. Anytime you plan to go for long walks in shoe comfort is a main priority. Leather, rubber, or synthetic all have their own advantages. What you pick for your safari boot all really depends on personal preference. I’m a fan of leather boots, and they also have that classic safari look. They could be the best boots ever, but if they’re dead ugly I wouldn’t wear them so make sure to pick a pair of safari boots you are happy to be seen wearing. Keep in mind, you don’t need safari boots! We spend 90% of our time in Africa wearing sandals! Of course, every “cute” outfit that you see of safari clothes involves boots, but the reality is you don’t need them. 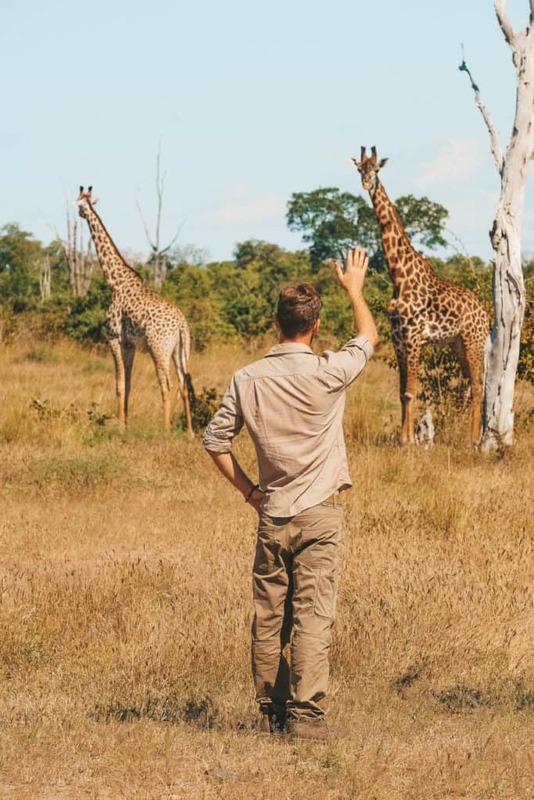 Most safari guests may not partake in a bush walk. They won’t be self-driving, they won’t be camping, and they’ll likely never have any reason to hop out of the vehicle. Instead, safari guests ride in the back of a game viewer and participate in activities around camp with no need to be wearing safari boots. However, this guide is for you if you are not one of those people. This guide is for the bushwalkers and individuals who will be spending a lot of time on their feet. 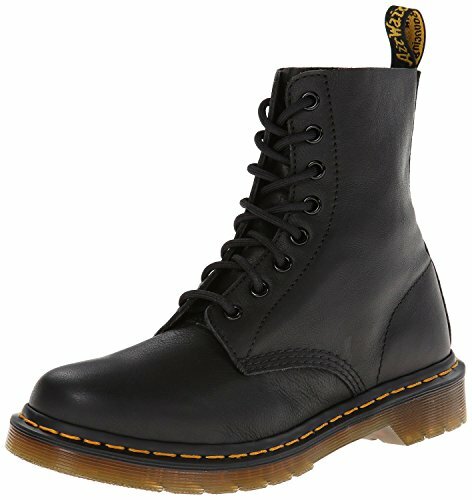 Merrel is a great boot brand. They specialize in hiking shoes so you know your feet will be comfortable for walking long distances. The boots are a blend of leather, textile, and synthetic. They are waterproof, comfortable, rubber soles, and high ankles. The soles themselves are specially designed to grip so in muddy or wet conditions they grip. It’s unlikely you’ll ever go for a bush walk in rainy conditions. I would suggest these boots for someone going gorilla trekking in the jungle or if you’re an avid hiker. 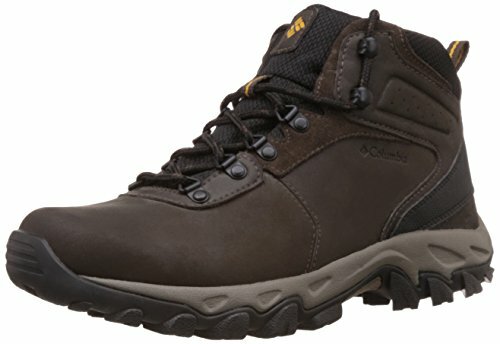 These boots are great boots are well built and loved by hiking enthusiasts. The soles have thick bottoms that will protect from long acacia thorns, rocks, and dry brush. They’re lightweight as they’re designed as trail shoes and are constructed from Goretex for waterproofing. I love the look of the North Face Ballard. These aren’t good just for safari, but they are also very stylish and go well during any season. The Ballards are made out of durable coated canvas and leather uppers. They are great for walking for long periods with their OrthoLite footbed and blown rubber sidewalls. 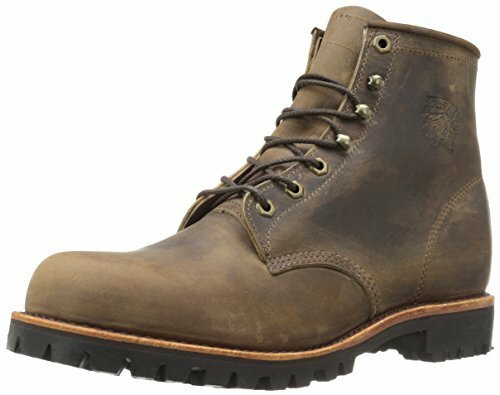 These boots are durable enough to last for years and have rust-proof hardware. This is the age-old boot tip, but keep your boots dry and change your socks often. 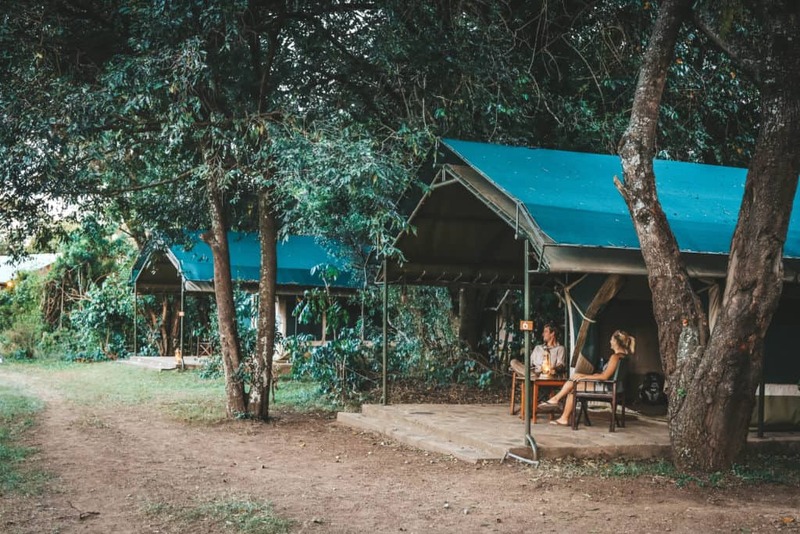 Most people won’t face these challenges on safari. However, keeping dry feet while gorilla or chimp trekking in Uganda, the DRC, and Rwanda will certainly prove to be a challenge. A great pair of socks is always your first line of defense in protecting your feet. Check these out for a good pair. If you’re going with some of the more expensive boots on this list like the Red Wings or Chippewas I suggest taking care of the leather. With boots like these, they can literally last a lifetime if maintained. The soles can be replaced when they eventually wear. However, the leather must be protected against the elements this is why I use a leather sealant and conditioner. Like Obenaufs, which you can buy it here. It’s a good idea to know the proper sizing of your foot. Measure the length, width, and arch length at home or head into a local store to make sure you have the right sized boot. Once you get your boots you can double check the size of your insole by removing it from the shoe and comparing to your foot — you should have a thumb’s width between your longest toes and the end of the insole. These aren’t the poshest looking shoes in the world, but they aren’t the ugliest either. 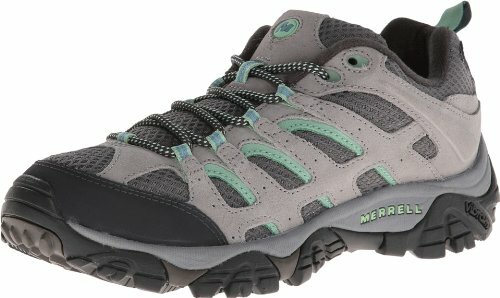 After trying on close to 30 pairs of different shoes, the Moab Ventilator shoe is what I ultimately went with and top this list as the best travel shoe. I wore these all around the globe and took them with me Africa. 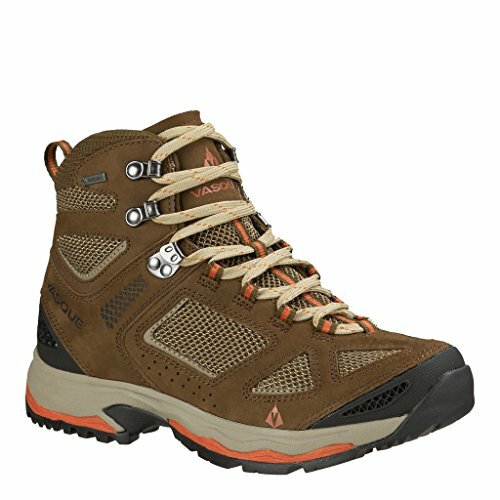 The easily double as hiking and walking shoes, but I can wear them around just like I would my Nike trainers and they don’t look ridiculous. These shoes are built tough, built to last, and are just in general good women’s travel safari shoes. I have probably put over 500 miles and they got me through a year of bush walking in Africa – I still haven’t thrown them out. 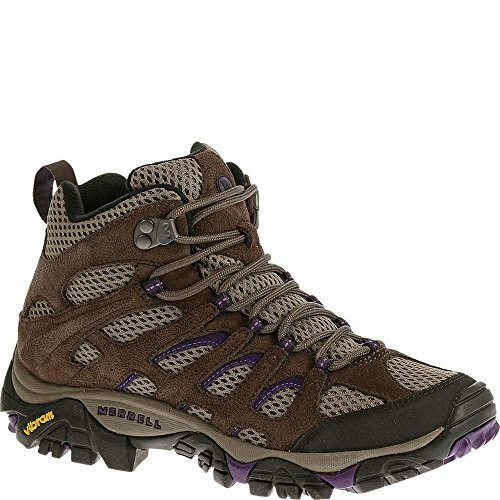 They are well padded, extremely comfortable, and for about a $20 different you can get the Gortex version (waterproof). I also have wide feet and a slew of other foot problems and I can easily walk all day in these shoes through all different terrains. I’m sorry, but the Teva Hurricanes have to be the most comfortable women’s travel shoes on the planet. If you want some heavy duty sandals to bring with you in Africa I wouldn’t hesistate about purchasing some Teva’s. They are comfortable, durable, and come in hundreds of different styles. I’m a total flip flop person and don’t believe any travel bag is completely packed until you throw a pair of flip flops in. Flip flops are totally okay to wear on safari when you are just in the game viewer and not getting out to go walking. I’ve had Rainbow flip flops for almost eight years now and they still hold strong. 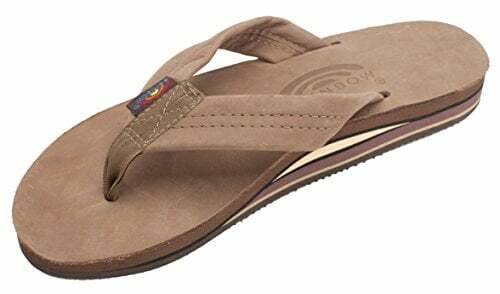 The sandals are made with premium leather, nylon threads, and are triple glued for optimal durability. Perhaps what makes these so great is the high arch in the midsole, this allows me to wear the sandals all day. 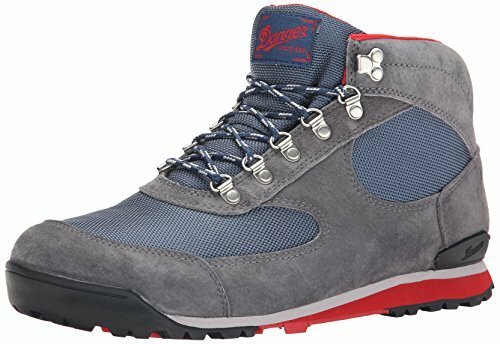 If it’s looking like you might need something a little heavier than the standard shoe, then take a close look at the Danner Jag Boot. 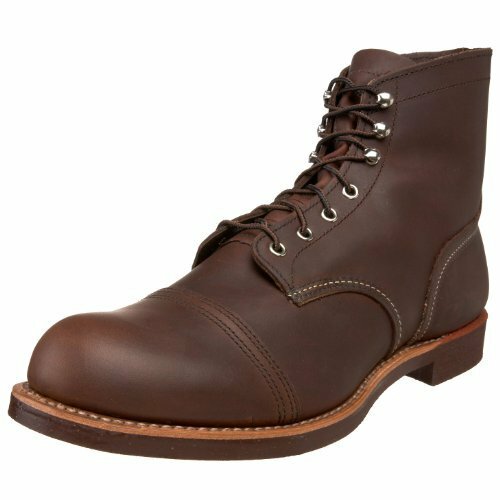 Danner has been building boots since 1932, and in that time they crafted some of the footwear for the U.S. Marine Corps, so you can bet they know what they’re doing. The Jag is a perfect balance between performance and aesthetics. 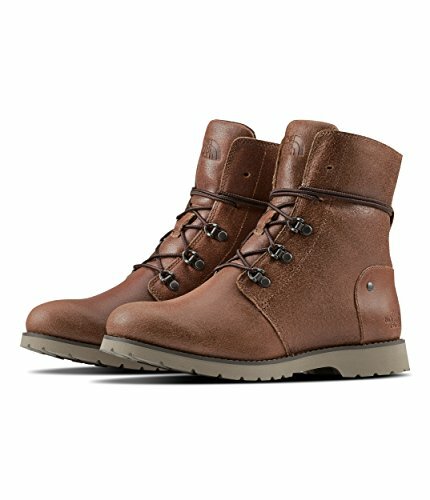 You’ll have a rugged boot that can take anything you throw at it, but appear like you’re wearing stylish leather city kicks. They are completely waterproof and feature a comfortable, shock absorbing midsole, perfect for a few trail adventures during the day, then heading back into the city for the evening. The more rugged construction also means a longer break-in period, so wear them around at home before you take off. 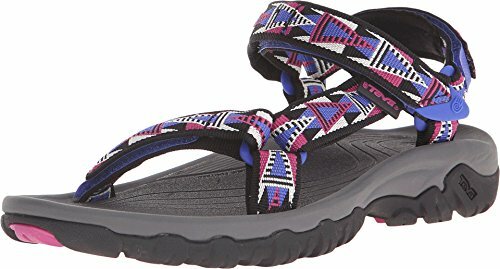 Amazon Mens VersionAmazon Womens VersionZappos! 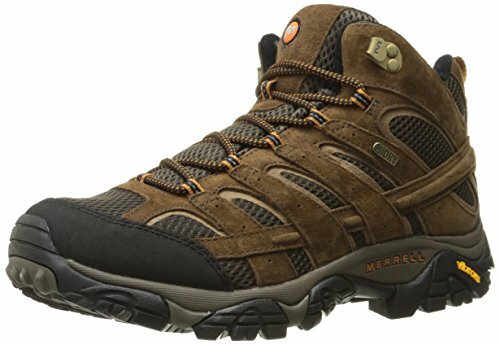 If you’re looking at a long trip, with plenty of miles of walking ahead of you, then Merrell is a solid place to look for safari shoes that will hold up to the rigors of walkways and woods. The Burnt Rock Travel shoe, in particular, is an excellent bet with its attractive design but durable construction. 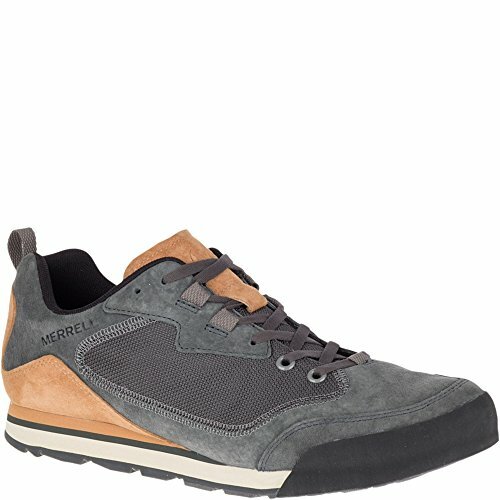 Honestly, we’ve found you can never go wrong with a pair of Merrells. With Merrell’s‘Kinetic Fit’ base and EVA midsole, the Burnt Rock is an exceptionally comfortable shoe that can easily go from box to pavement with minimal break-in time. The breathable mesh also keeps the foot cool during all your adventures, while the durable rubber base and toe cap will keep it in excellent condition for a long time.